Opt for a brown plaid wool blazer and Black Brown 1826 plaid wool dress pants from Lord & Taylor for a sharp classy look. You could perhaps get a little creative in the shoe department and elevate your look with tan leather oxford shoes. 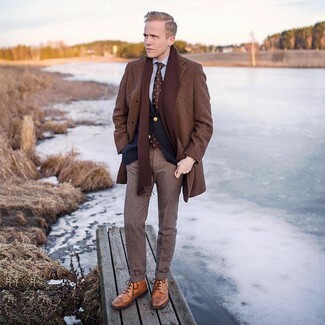 A brown overcoat and brown plaid wool dress pants will showcase your sartorial self. 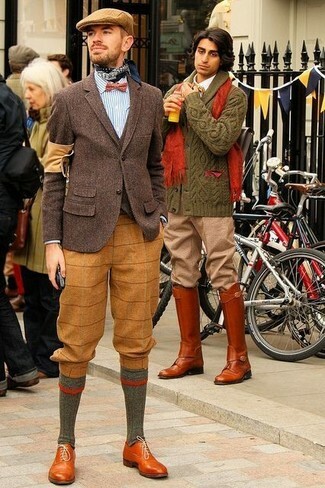 For something more on the daring side to complete this ensemble, rock a pair of tan leather brogue boots. A dark brown wool blazer and Black Brown 1826 plaid wool dress pants from Lord & Taylor is a greatcombination for you to try. Up the cool of your look by finishing off with tobacco leather oxford shoes. 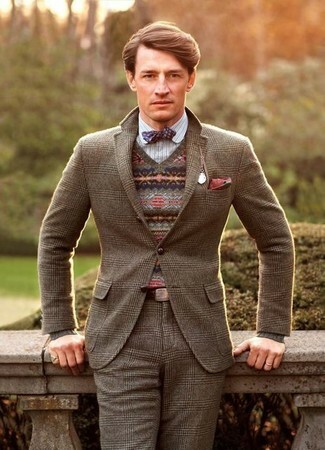 Consider teaming a dark brown overcoat with brown plaid wool dress pants for a classic and refined silhouette. 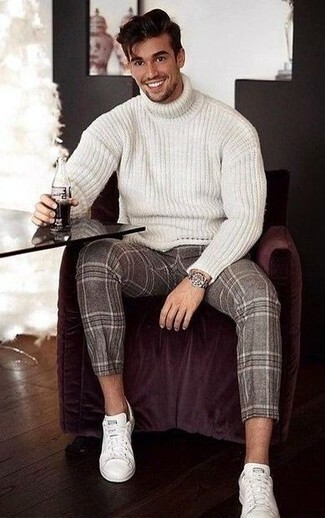 For something more on the daring side to finish off this ensemble, go for a pair of brown leather brogues. 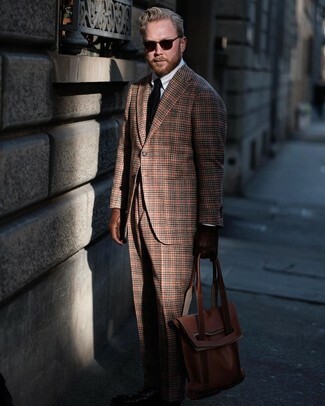 Dress in a brown plaid wool blazer and brown plaid wool dress pants for incredibly stylish attire. For a casually elegant outfit, consider teaming a white knit wool turtleneck with Black Brown 1826 plaid wool dress pants from Lord & Taylor — these two pieces fit beautifully together. Break up your look with more casual shoes, like this pair of white leather low top sneakers. 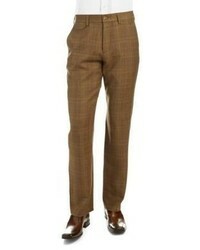 Try teaming a brown plaid wool blazer with brown plaid wool dress pants for a classic and refined silhouette.